The passing out parade was being held at Subsidiary Training Centre in Baramulla. “Hamare border pe iss waqt, khuda na khasta, ek tarah se khoon ki Holi chal rahi hai (unfortunately on our borders a bloody Holi has been going on). The country is on a path of development, it is what PM talks about, but the opposite is happening in our state. 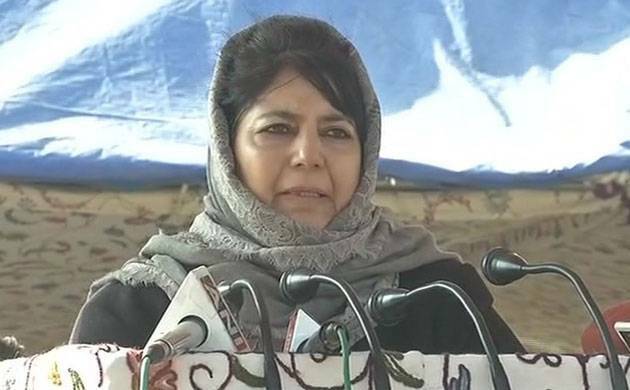 I appeal to PM and to Pakistan, J&K ko jung ka akhada mat banaiye, dosti ka pul banaiye (I appeal to PM and Pakistan not to turn J&K into a war field instead create bridges of friendship),” said Mufti.